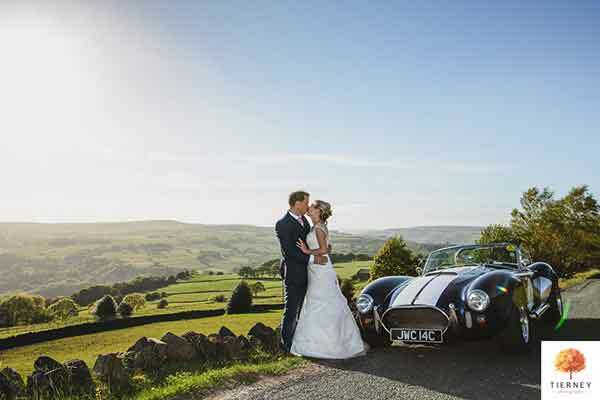 A self drive classic car makes an increasingly popular alternative wedding car hire Yorkshire and the North West. It gives your father or other relative the chance to play a bigger part in the wedding by being your private chauffer. 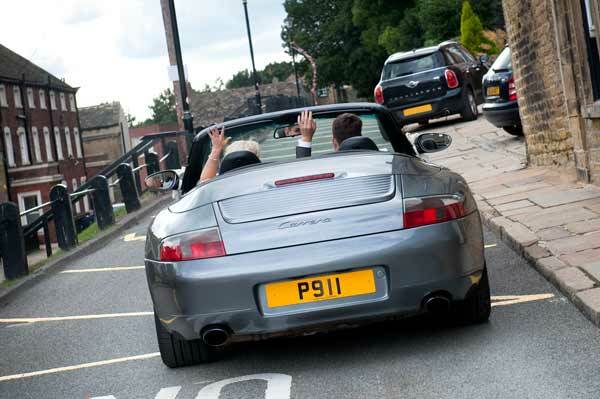 Or hire a car for the groom so that he can arrive in something special. 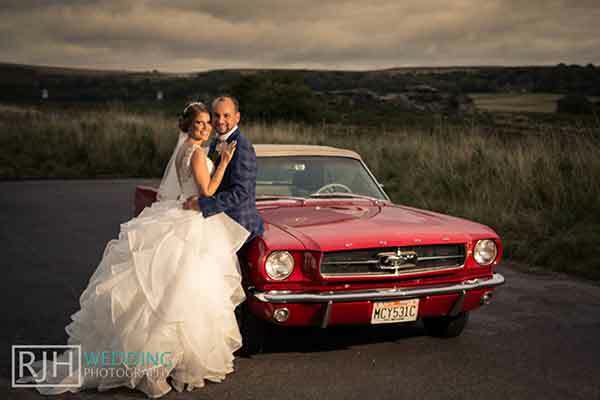 After the ceremony the couple have the option to drive themselves to the reception or make their getaway on honeymoon in one of our wide range of alternative wedding cars. 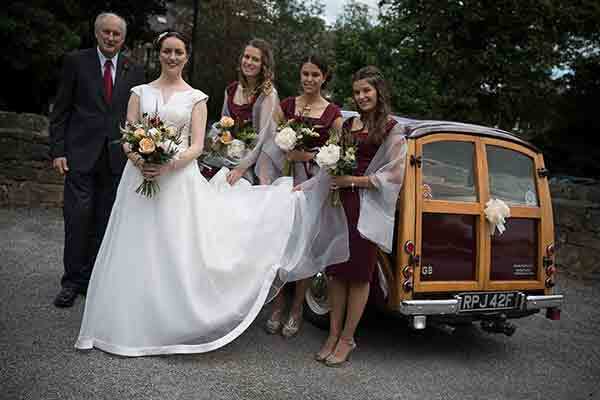 Brides may prefer to be driven to their wedding in an alternative wedding car by a loved one rather than a stranger. 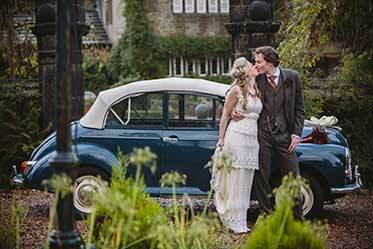 Perhaps an unusual vintage wedding car with special memories such as a Morris Minor, VW Beetle or a Morse Jaguar? All have room in the back for bridesmaids. 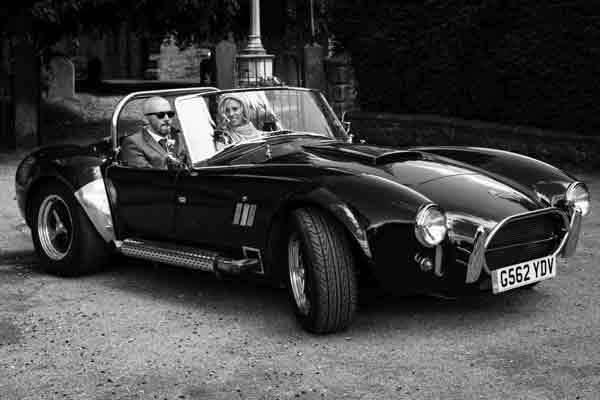 Our head turning Groom’s cars range from classic British sports car such as an E-Type Jaguar or Triumph TR6, to something that will make sure everyone knows he’s arrived like a Porsche 911, AC Cobra or classic Ford Mustang Fastback or Mustang convertible. They make a great surprise gift from the bride to her future husband. 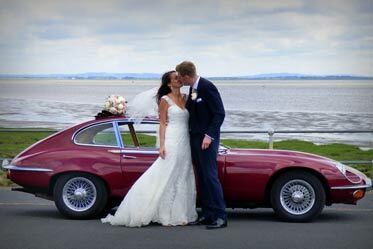 Classic cars are very photogenic, and the opportunities for memorable photographs for your wedding album are plentiful. You have much more time with the wedding car. Your photos will be unique and special. 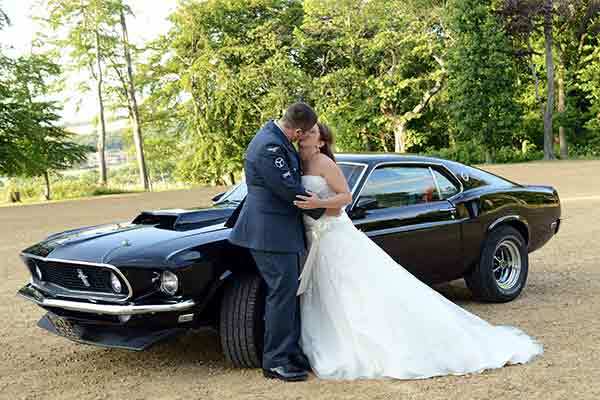 Unusual wedding transport in Yorkshire Lancashire, Cheshire or Oxfordshire will make your special day even more perfect! 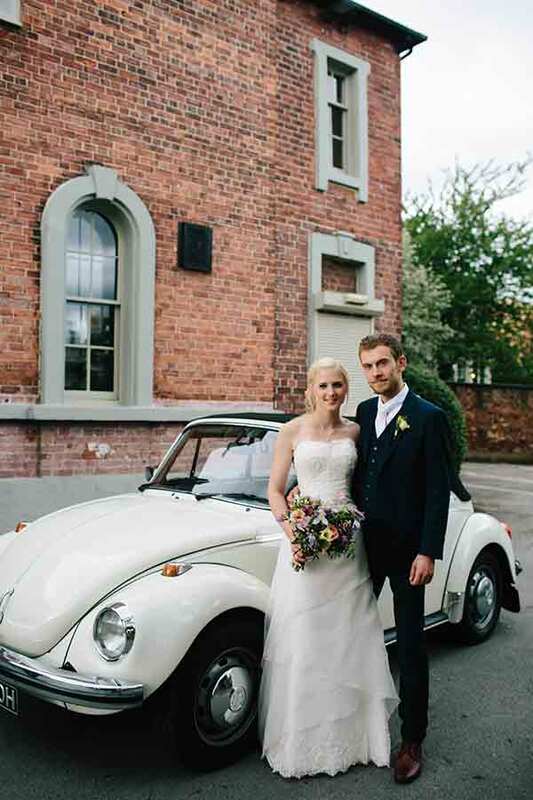 We have two charming Morris Minor convertibles – blue and white, and a white classic VW Beetle convertible for self drive hire. 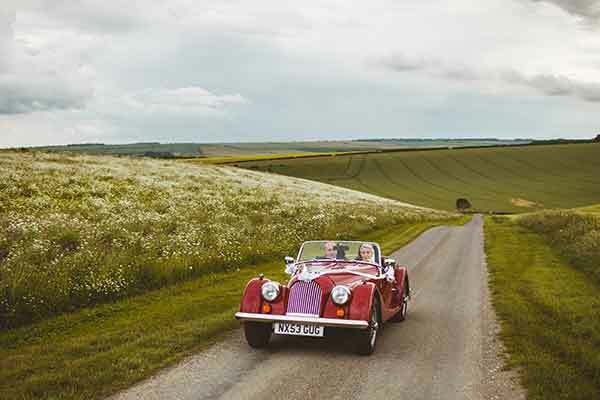 These quirky wedding cars are available as a special wedding car hire price package. 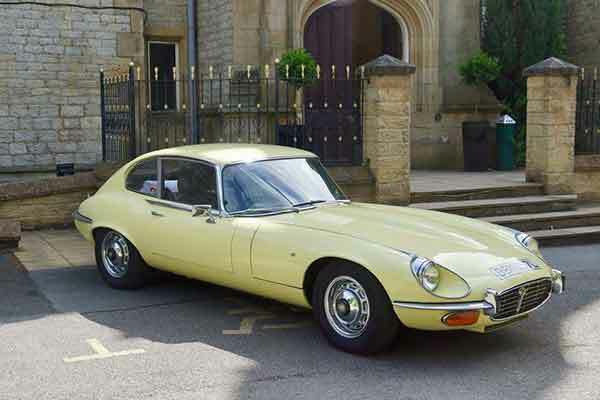 In respect of four seater cars, we have a handsome metallic green Morse Jaguar (MK2), a Jaguar S-Type, a Triumph Stag convertible, a classic Ford Mustang Fastback or convertible. The Morris Minor (blue), Morris Minor (White), VW Beetle and yellow Morgan are also 4 seaters. 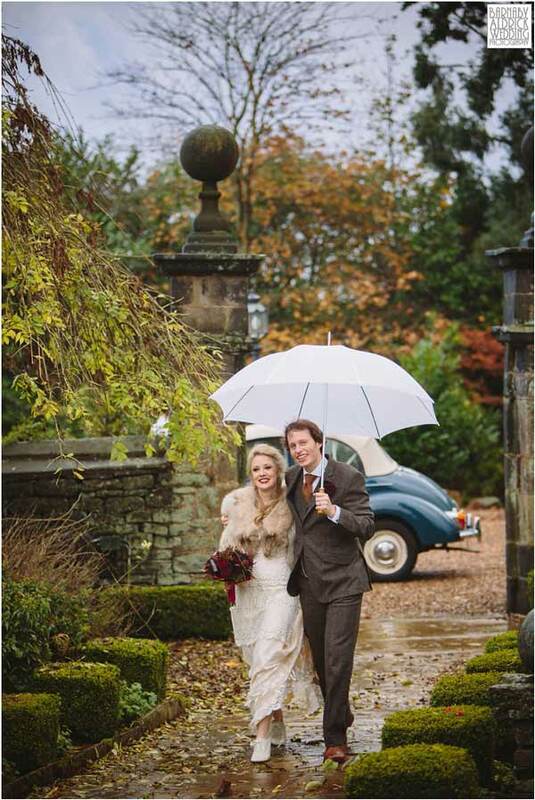 For the ultimate in luxury we also have a Rolls Royce Corniche Convertible for self-drive wedding car hire Yorkshire. 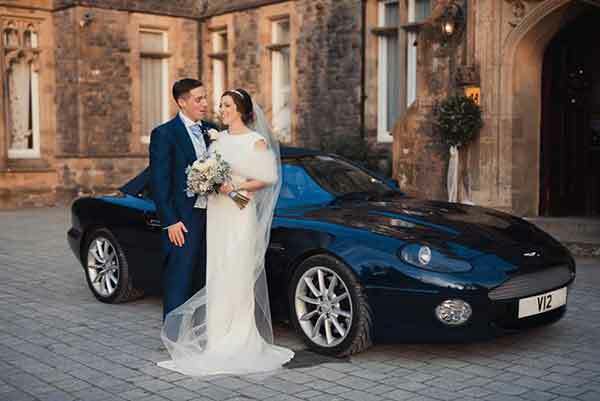 We have a wide range of wedding sports cars, some of them 2 seaters, others 2+2 (where there is a back seat for 2 small children). These cars are ideal for groom’s cars, getaway cars or honeymoon cars. See our full range here. Who is the car for? 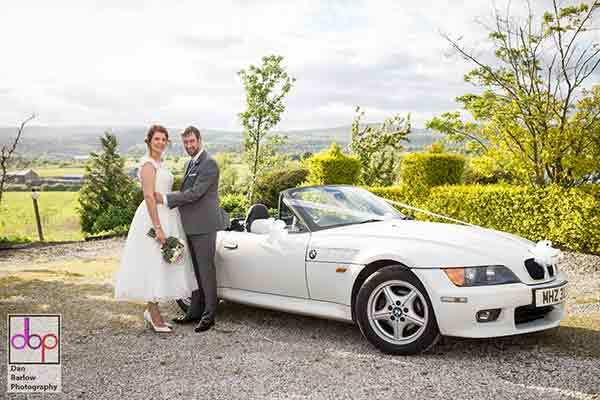 There are three main ways people choose to use our self drive wedding cars. Firstly, father drives the bride to the ceremony, then drives both the bride and groom to the reception. Secondly, the best man or groom drives to the ceremony, then the groom drives his new wife to the reception. Thirdly, father drives the bride to the ceremony, then the groom drives her to the reception. But there are many other permutations. Please ask if you need help on this. 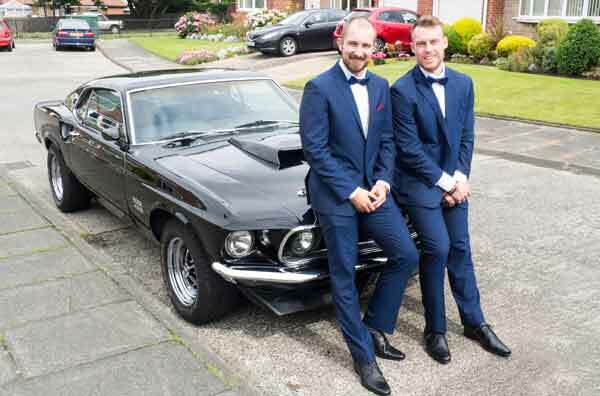 Is it a car for the groom? Hiring a car for the bride goes without saying, but don’t forget the groom! After all, he is the one who everyone will see (and hear) arriving. 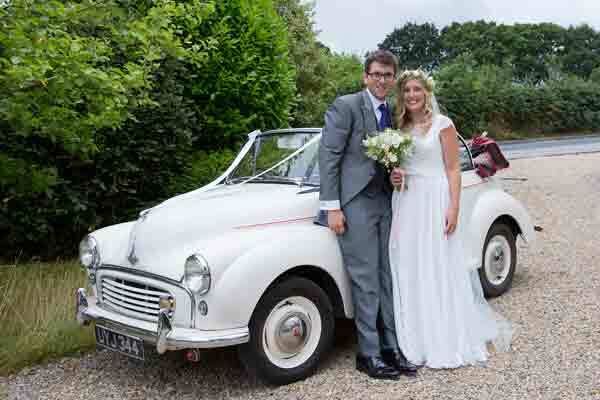 Because you’ve got the car all day, you can use it to travel to the reception together, and as a ‘prop’ in photographs. Hire it for longer and use it to go away on honeymoon or minimoon afterwards. 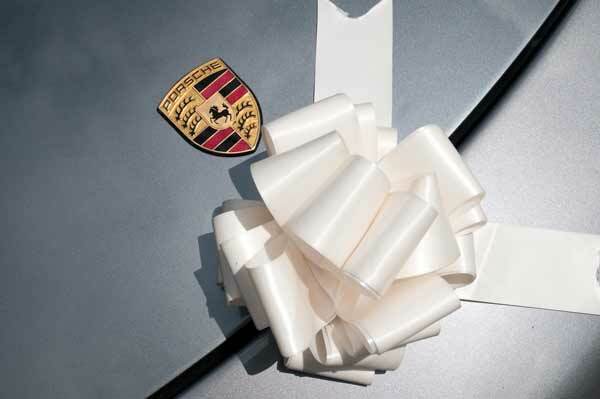 Hiring a car for the groom as a surprise gift will make his day even more enjoyable. We can help you keep the secret. See our wide range of head turning, affordable groom’s cars. Who will collect and return the car? You will need to make arrangements to collect the car from our base in Keighley or Leeds, depending on which car you have chosen. You can either collect it yourself or get a willing volunteer to collect it. Usually there is no shortage of volunteers! Additional drivers are charged at £20 per driver per day. Subject to the package you’ve selected, collection will normally be the morning of the wedding or the day before. You can leave your car at our premises at no extra cost. Usually people can’t return the car the same day without causing some inconvenience to the wedding arrangements. 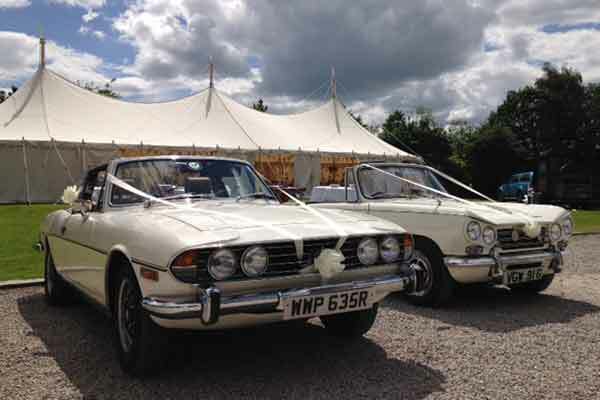 So we’ve developed a special wedding car hire package for some of our cars which involves collection the evening before the wedding and return the morning after the wedding. Alternatively, if you are reasonably local to us we may be able to collect the car after the wedding without disturbing your reception. In some circumstances we may also be able to deliver. Please ask for further details. How many seats do your need? 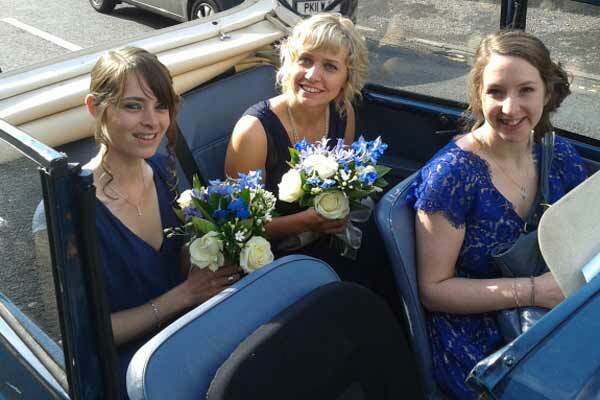 If you wish to sit in the rear of the car with your new husband or wife, or to transport adult bridesmaids, you will need a 4 seater. Consider either our VW Beetle convertible, Morris Minor convertible, or Triumph Stag convertible. It’s relatively easy to get in and out of the back of these cars, especially with the roof down. 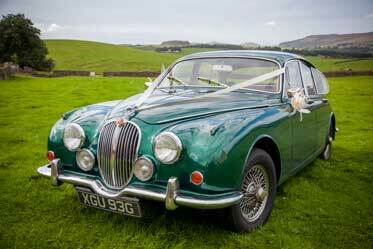 The MK2 Jaguar is also suitable, being roomy and having four seats and 4 doors. The Mustang despite having 4 seats, can be more difficult to get out of the rear. If you only need two seats, as well as the cars above we have a wide range of two seaters and 2+2s. The AC Cobra, Triumph TR6, Morgan 4/4, Lotus Esprit and BMW Z3 Roadster all have two seats. The 2+2s include the E Type Jaguar, Porsche 911, Aston Martin DB7, Jensen Interceptor, Jaguar XK8 and XJS. There are two small seats in the rear of the 2+2s. Due to limited legroom the rear seats in these cars are only suitable for young bridesmaids or page boys. Do up want a special car for nostalgic reasons? 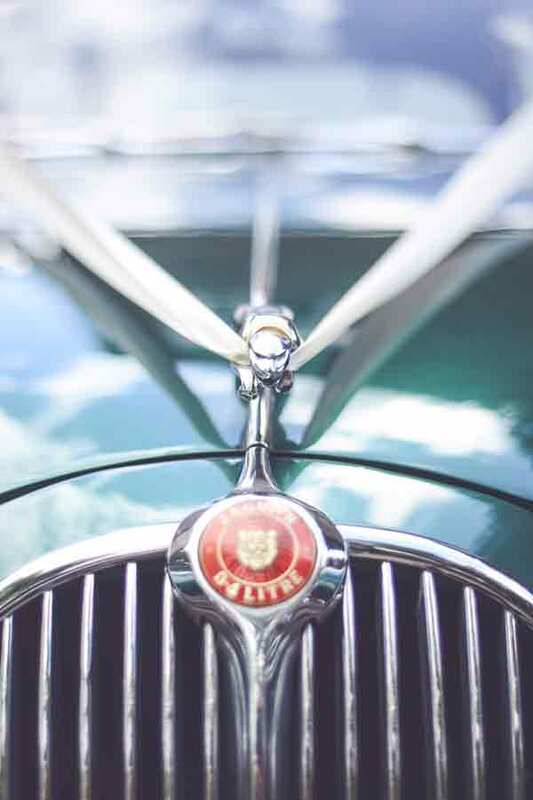 Some people may wish to hire a particular classic car for their wedding for all sorts of specific reasons. For example, the car you learned to drive in, the car your parents were married in, or the car you were driving when you met your partner. How much room do you need for the dress? Consider whether the bride’s dress has a hooped underskirt, restricted movement or very full skirt. Some of our smaller sports cars may be impractical in these circumstances. Please ask us for advice. If you are unsure, visiting us for a ‘fitting’ might be a good idea. We offer ‘adaptations’ wherever we can to make getting in and out of the smaller cars as easy as possible. 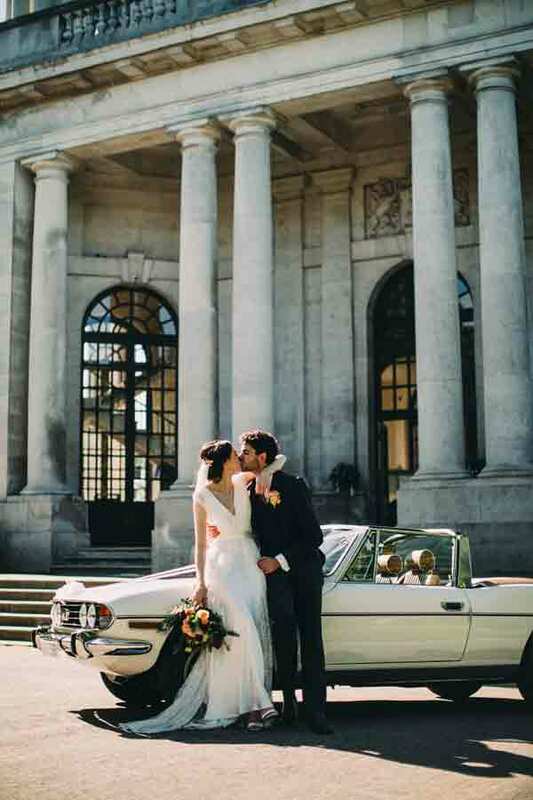 Wedding car hire companies who provide chauffeurs are usually only able to provide services within specific local areas. Because our cars are self drive we don’t have geographical exclusions as long as you are not going outside of the UK. 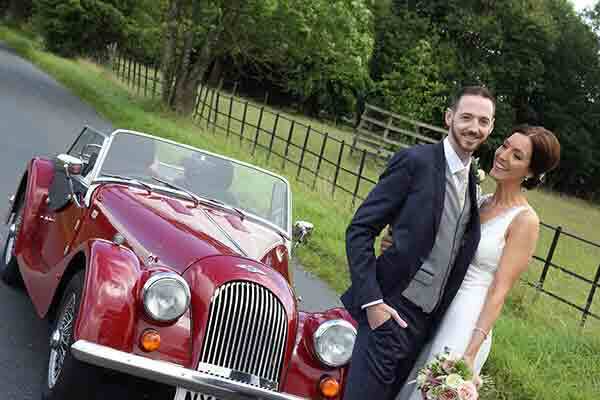 For wedding car hire Yorkshire, Lancashire, Cheshire or the North West we offer a wide choice of alternative wedding cars.